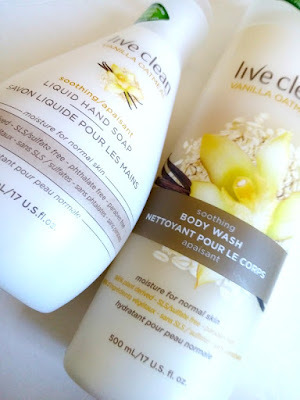 Get ready for Fall with Live Clean Body Washes! I love beauty products but I'm obsessed with body care items. I won't lie - I've never used the Live Clean body washes before. So it was a delight to try them out. I received: Coconut Milk Moisturizing Body Wash, Exotic Nectar Argan Oil Replenishing Body Wash and Fresh Water Moisturizing Body Wash. I should add these body washes are 100% vegan and eco-sensitive. Fall is coming- I can already feeling the moisture in the air going away. In other words my skin is DRY! The key is to implement moisturizing products now to prevent damage! Vanilla Oatmeal Soothing Body Wash ($4.99 CAN) and Vanilla Oatmeal Soothing Liquid Hand Soap ($6.99 CAN).Vanilla Oatmeal is a comforting scent for me because whenever I go through my sensitive skin issues- I used it because it was calming! 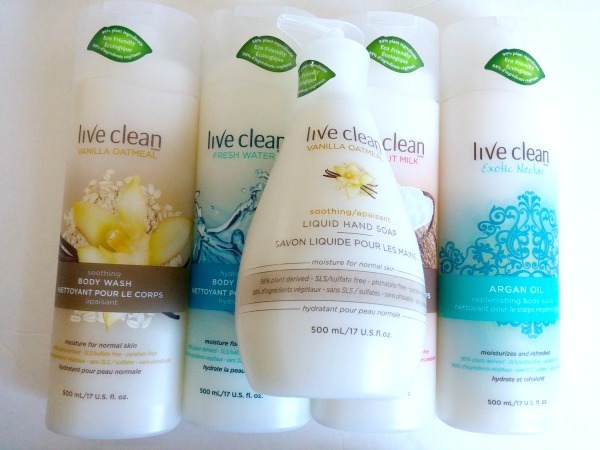 Have you tried Live Clean products before?